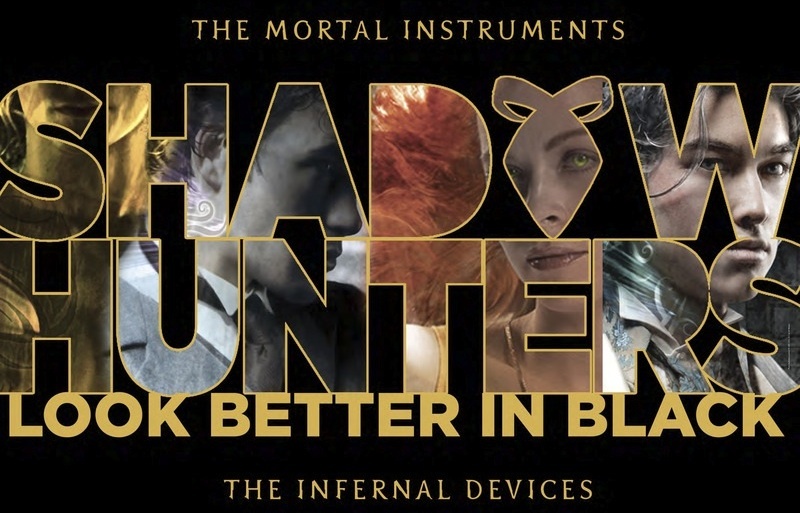 Yesterday, USA Today revealed that The Mortal Instruments and The Infernal Devices will be repackaged with new covers and new extra content. Of course this caused a lot of buzz in the Shadowhunter fandom and many questions arose: Will the cover for Lady Midnight look more modern as well? Who will be on the other covers? Who is the designer? and so on. City of Bones has a brand new look! USA Today debuted it on their blog earlier today — you can check it out here. Just to answer a few things I’ve been asked: my publisher has wanted to redesign the covers for a long time, but needed to finish out TMI first. They have for a long time wanted to make the Shadowhunters books overall look more unified (the paperback TID will also be repackaged, and every book will have the “Shadowhunters” type down the side) and also make them look more modern — the first book was designed ten years ago, and book styles change. These are paperback repackages. The hardback books will retain the original covers. These repackages will contain some fun new elements like maps of Shadowhunter New York and London. These covers were designed by Cliff Nielson, who also did all the other Shadowhunters covers. He’s always been a great designer and I’ve always loved his work. I am happy that the new design carries over elements of the old design (Cliff’s work, the light effects, the fonts — even the model for Jace is the same one used on Lost Souls) so that it’s more of an updating that a complete change. I don’t know how Lady Midnight’s cover will look. That hasn’t been decided yet. It may well be a fusion of the old and the new, as really, they aren’t that different. 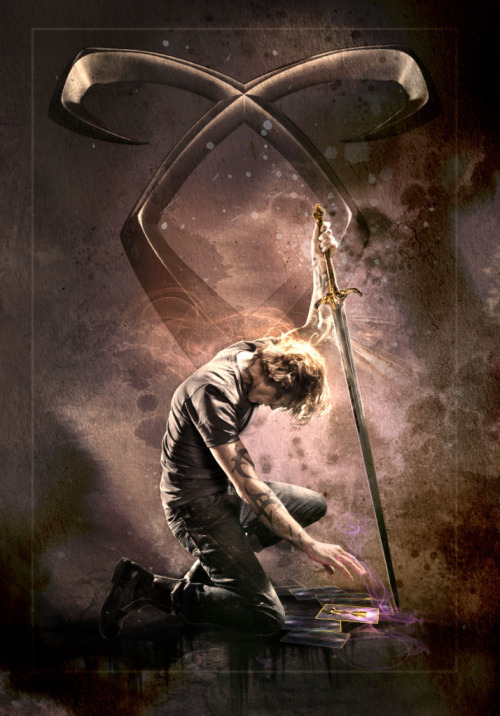 I love Jace’s pose in this cover, and the fact that he’s reaching for a tarot card, and that you can see little details like the Morgenstern ring on his hand. The cover is actually a brilliantly bright bronze, which you can’t tell onscreen unfortunately. Each cover will feature one character. The first three will be Jace, then Clary, then Simon. But this time around you’ll also get to see Alec have his own cover, and Isabelle have hers. Hope you like the covers as well! Walker Books UK will be re-issuing the Mortal Instruments series in July with an entirely different cover look. We are set to launch a cover reveal next week. @KataraAlchemist the new ones do have minor corrections and changes. Also maps and new stuff. Although she was talking about the cover model for Tales from the Shadowhunter Academy it is possible that he will also be on the cover for City of Glass since Simon & Schuster kept the model for Jace. That’s everything we know for now. 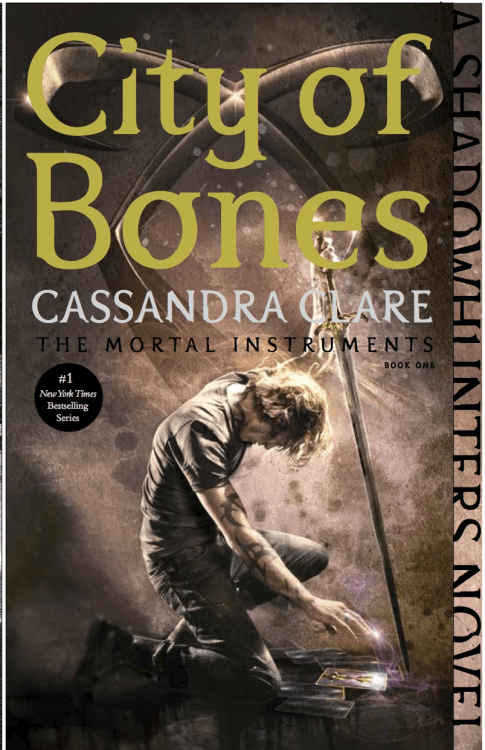 Once Walker Books has revealed the alternate cover for City of Bones, we will post it here and of course we will keep you up to date on the other covers. Where from a marketing point of view I understand the need to redesign your book covers. I can’t help but feel cheated with the new pieces these books will contain. I have already bought the whole series and spent a lot of money on it. I also don’t need this series twice. But I doubt they will offer to exchange the old books for the new ones. So where I like the covers and I understand why this was done, ‘m not happy about it. My TMI collection is a complete mismatch! I’m from the uk and my CoB is the first edition, CoA and CoG are second edition covers, CoFA, CoLS are second edition with a circle saying “CoB soon to be motion picture”, CoHF is a slightly larger copy with a matte effect and I have the american Clare signed hardback copy of CoHF!! I wonder if the cost would remain the same for the books? It’s not the worst cover, but in my opinion, it’s pretty darn ugly. Especially that yellow… ICK. I already have the entire series, but I will probably get the Simon and Izzy covered books. XD I actually really like the current covers! At first I was worried about these new covers and what they might mean for the covers of upcoming books. But now I’m pretty excited about these. I’ve already got hardcovers of all the existing shadowhunter novels, and I’ve been wanting to get the paperback box sets for TMI & TID but now I think I’ll wait and get these new ones when they come out as box sets. I still have some worries about TDA and TLH not matching the original hardcovers, but I guess we shall cross that bridge when we come to it. Reblogged this on Tessa Gray's Books .